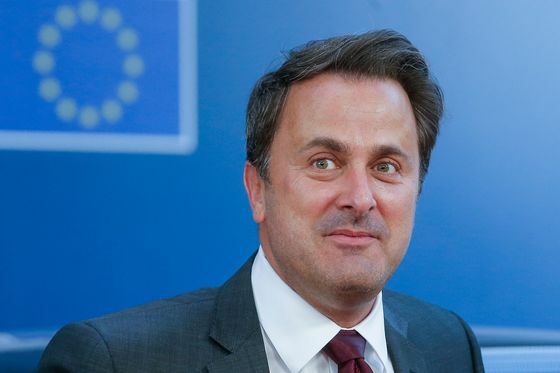 (Bloomberg) -- Luxembourg’s Prime Minister Xavier Bettel signed an agreement with China on Wednesday to cooperate on the Asian nation’s Belt and Road Initiative, Beijing’s giant infrastructure project to redraw the global trade map. The move comes a week after Italy became the first large, Western European Union member to sign the agreement, which has caused concern about China’s increasing reach and influence. “The signing of this accord is a new step in developing the Sino-Luxembourg relations and in our cooperation at the economic, commercial, academic and cultural level as that of research and development,” Bettel said in an emailed statement after the signing. The EU is engaged in a delicate balancing act, both seeking more investment opportunities with Asia’s most populous nation while also striking a more cautious stance on security issues. The bloc released a report this month underscoring the need to recognize that China is an “economic competitor” and “systemic rival” that should no longer be considered a developing country.